SEOUL/WASHINGTON - North Korea’s top three military officials have been removed from their posts, a senior U.S. official said, a move analysts said Monday could support efforts by the North’s young leader to jump-start economic development and engage with the world. Kim Jong Un is preparing for a high-stakes summit with U.S. President Donald Trump in Singapore on June 12, the first such meeting between a North Korean leader and a sitting U.S. president. The U.S. official, who spoke on condition of anonymity, was commenting on a report by South Korea’s Yonhap news agency that all three of the North’s top military officials were believed to have been replaced. Kim’s motivation remains unclear but analysts said the shake-up allows him and the ruling party to tighten control over the Korean People’s Army (KPA) at a critical time of international engagement and domestic development. “If Kim Jong Un is set on making peace with the U.S. and South Korea and dealing away at least part of the nuclear program, he will have to put the KPA’s influence in a box and keep it there,” said Ken Gause, director of the International Affairs Group at CNA, a nonprofit research and analysis organization. 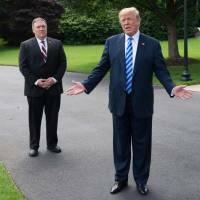 Trump revived the Singapore summit on Friday after canceling it a week earlier. The United States is seeking a negotiated end to North Korea’s nuclear weapons program and U.S. officials believe there was some dissension in the military about Kim’s approaches to South Korea and the United States. Trump wants North Korea to “denuclearize,” or get rid of its nuclear arsenal, in return for relief from economic sanctions. North Korea’s leadership is believed to regard nuclear weapons as crucial to its survival, while Kim has said he plans to focus on economic development. The U.S. official did not identify the three ousted military officials. Citing an unidentified intelligence official, Yonhap said No Kwang Chol, first vice minister of the Ministry of People’s Armed Forces, had replaced Pak Yong Sik as defense chief, while Ri Myong Su was replaced by his deputy, Ri Yong Gil. North Korean state media previously confirmed that army Gen. Kim Su Gil had replaced Kim Jong Gak as director of the KPA’s General Political Bureau. The White House, State Department, CIA and Office of the Director of National Intelligence did not respond immediately to requests for official comment. South Korea’s Unification and Defense Ministries declined to confirm the report, while an official at the Unification Ministry said the government was watching the North’s leadership very closely. South Korean Foreign Minister Kang Kyung-hwa had a 15-minute phone call with U.S. Secretary of State Mike Pompeo on Monday to discuss the upcoming summit between Kim and Trump, the Foreign Ministry in Seoul said. Given the military’s secondary role in the North’s nuclear and missile programs, the moves are likely more about installing a younger, even more trusted cohort of officials who Kim Jong Un can rely on as he confronts a variety of domestic and international issues, said Michael Madden, a North Korea expert at Johns Hopkins University’s 38 North website. “The nuclear weapons are a side issue,” he said. The moves are likely linked in part to Kim Jong Un’s drive to have the military take a bigger role in critical infrastructure projects. That could explain why newly appointed director of the KPA’s General Political Bureau, Kim Su Gil, accompanied Kim Jong Un on a field guidance trip to a beach tourist zone with other officials, Madden said. Kim Jong Un is also likely expecting to receive more international economic aid and investment soon as part of the ongoing talks and he wants to prevent corruption that plagued some past projects, Madden said. All of the newly promoted officials are younger than their predecessors, including 63-year-old Ri Yong Gil, who is 21 years younger than Ri Myong Su. “This points to two things: the consolidation of Kim Jong Un’s power as the sole leader of North Korea and strengthened cooperation between the North’s party and military as the country works towards further economic development,” said Yang Moo-jin, professor at the University of North Korean Studies in Seoul. “They’re all young but capable people,” Yang said. Lower-level U.S.-North Korean talks to prepare for the summit are continuing but have made only “halting progress”, according to a second U.S. official briefed on the discussions. 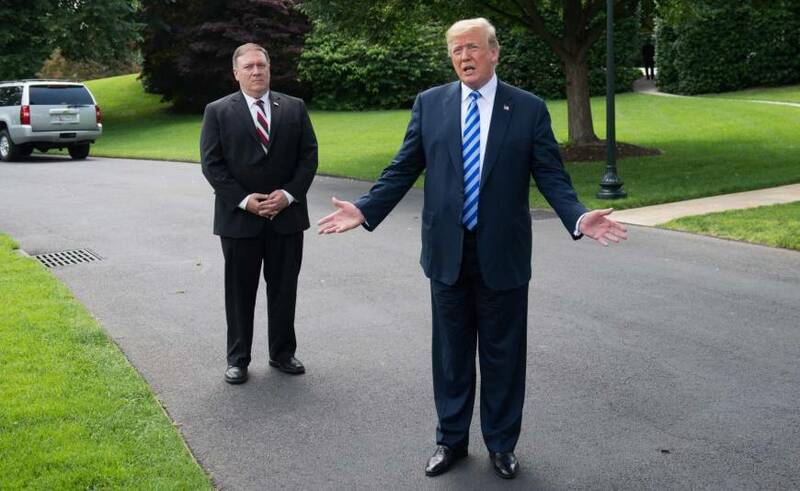 That official said U.S. negotiators’ efforts to press for definitions of immediate, comprehensive, verifiable and irreversible denuclearization by North Korea had run into opposition from the White House. In a remarkable shift in tone eight days after canceling the summit, citing Pyongyang’s “open hostility,” Trump welcomed North Korea’s former intelligence chief, Kim Yong Chol, to the White House on Friday, exchanging smiles and handshakes. Yonhap reported that Kim Yong Chol had transited Beijing on Monday on his way back to Pyongyang from the United States. All three of the new military officials have at least some experience interacting with foreign delegations, a factor that is critical as Kim seeks to line up meetings with leaders from the United States, China, Russia, and Syria.